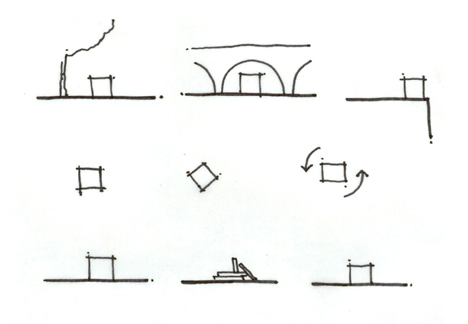 as we discussed in my last thesis update, at the heart of my thesis is the issue of flexibility in architecture. as part of an exploration into what this means i spent some time breaking it down into flexible typologies (from here i will begin to distill out the most appropriate types of flexibility for my project). i more than welcome any thoughts you may have on the issue (diagrams i sketched apply to the category immediately following). adaptable. adaptable structures features repositionable partitions or are changeable per user/occupant (case studies: rietveld schroeder house, japanese housing). universal. what typifies a universally flexible building is its ease of adaptation per use. these buildings are often characterized by open floor plans and typology free design (case studies: s.r. crown hall, eames house). movable. movable flexible buildings consist of relocatable or repositionable structures or buildings capable of being torn down and reassembled in another location (case studies: nomadic tents, airstream trailers). transformable. characterized by modular design (capable of adding or removing units or components) transformable structures can also open and close, change form, or change color (case studies: plug-in city, university of phoenix stadium). responsive. responsive buildings can respond to a number of external stimuli, including, but not limited to, energy/environment, interaction, usage, or occupation (case studies: allianz arena, institut du monde arab). i just stumbled across your website and found your thesis interesting. i have been quite interested in flexible building…but wondered how you had thought about issues of style, fashion, branding, and our consumer culture. while flexiblity is a great a noble pursuit, you can not ignore the obvious pitfall…disposability. i think you’ve hit on a great point raj. there is a fine line somewhere in there between flexibility and disposability. i suppose the hope is that if designed smartly and successfully the flexible building isn’t disposable but can adapt and evolve to meet the new demands. but the bigger question is “is disposable bad?” sure on the surface anyone would seemingly argue of course, but i think there is more going on in that question than what’s at the surface. for starter’s we no longer live the way we used to. our lives and livelihoods have changed. we move constantly, change jobs, all part of a global culture and economy of impermanence. should anything be permanent for that matter? of course there’s always the environmental issue when one brings up the idea of disposability. maybe it’s not so much disposability as it’s responsible growth? isn’t is possible that these buildings/units/etc could be relocated where they are needed as they are needed, not actually “disposed?” i’m not sure about a lot of this myself. but the point you raise is poignant and certainly something i am exploring in my thesis. as i progress i will be sure to post more in relation to this idea. thanks for your comment! Your thesis topic is very interesting, it is actually one of my objectives to identify known concepts of flexibility in architecture and apply it to my design. I would just like to know how did you identify these concepts? And would like to ask for permission to use your article. Hoping for your reply, thank you. raghu i would be more then happy to you out in any way i could. feel free to email question to: waywelive[at]gmail[dot]com or post them here. i’m sure i could point you to some great research and case studies as well. i know i’ve been absent around here for a while but rest assured it is a function of me finishing my own thesis which is due here in about a week, after which i plan on being back full time! It is not clear in your thesis whether flexibility is an “end” or a “means” (to something else). You assume that it is an “end” and it may not be. dear geoff, would you like to send me an email about your thesis. same with shah, i’m interested on this topic. thank’s before. hi geoff. My name is André Vergueiro. I’m a Portuguese architecture student and I came across with your blog while working on my master’s dissertation. I was wondering if you could give me your name since I cannot find any information about you, so I can write your name in my bibliography. It would be important since I’ll “use” your synthesis about flexible typologies, emphasizing on the adaptable feature. I find your work very pertinent regarding a chapter i’m currently writing about space appropriation. I believe flexibility is a useful tool so the space can change with us, since we are currently transforming ourselves in our life. I also agree with you about the thin ice layer between flexibility and disposability. hey Andre… I am Aishwarya, studying architecture in India. I am doing a dissertation on Flexible Architecture and would like to learn more from your research. We could share resources on the same. Hello! My name is anna timmermans. Im an architecture student (from belgium), working on my endthesis. 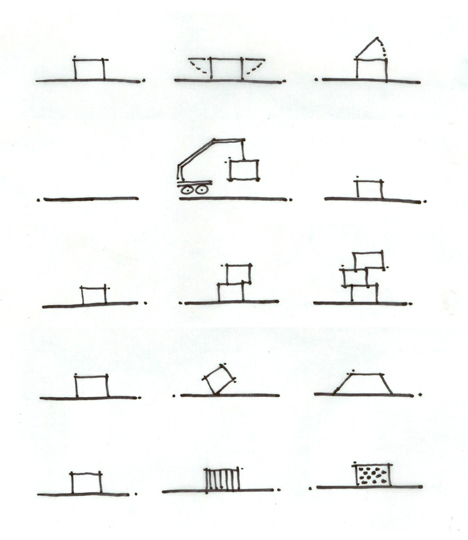 My thesis is about flexible façades. It is hard to find good information about this subject. This blog is then interesting to read about. It makes me curious also to your thesis. Do you have any good tips for books, articles, on-line lectures,… that would help a lot! thanks! Hi Geoff.. My name is Aishwarya. I study architecture in India and am currently working on a dissertation based on the subject of Flexible Architecture. I came across your blog and found the pictorial depiction of different categories of ‘flexibility’ very interesting. I want to adapt a similar form of presentation in my dissertation and would like your details or even a link to your completed thesis for my bibliography and study. Also, there is a very valuable book on the subject titled Flexible Architecture by Robert Kronenburg which you might like to look up. Please get in touch with me at the earliest. My brother recommended I would possibly like this web site. He was once totally right. This publish actually made my day. You can not imagine simply how a lot time I had spent for this information! Thank you! I don’t even know how I finished up here, however I assumed this publish was once good. I don’t realize who you are however definitely you are going to a famous blogger if you happen to are not already. Cheers! Magnificent site. A lot of helpful info here. I am sending it to some pals ans additionally sharing in delicious. And naturally, thanks in your effort! You’re in point of fact a good webmaster. The website loading pace is incredible. It sort of feels that you are doing any distinctive trick. Furthermore, The contents are masterwork. you have done a great job on this matter! I’ll immediately clutch your rss as I can not find your email subscription hyperlink or e-newsletter service. Do you’ve any? Kindly allow me know so that I may subscribe. Thanks. Very great post. I simply stumbled upon your blog and wanted to mention that I’ve truly enjoyed browsing your weblog posts. After all I’ll be subscribing for your rss feed and I am hoping you write once more very soon! I would like to read your thesis. Send me an e-mail please. Thanx in advance! hi, i m hiren,i m study in architecture in India. 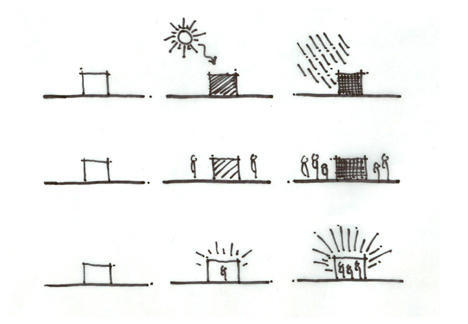 i just find how to flexibility of building and identity of building for my housing studio, i found your blog. and i intresting in deeply going in your thesis.. so please send ur thesis or disucus with me when u r free. a number of ready made Thai building drawings in pdf and Auto – CAD format. They come at an affordable price, so you can start collecting your favorite pieces. Hello dear friend. I am M.A student of Architecture and i work on adaptable and flexible architecture. i would be so much thankful if you send your thesis to me. hello, i really enjoy yout explanation about flexible architecture because i took flexible architecture as the subject of my last task, i would be thankful if you send your thesis to be my references to hssnaaj@gmail.com 🙂 thankyou very much!